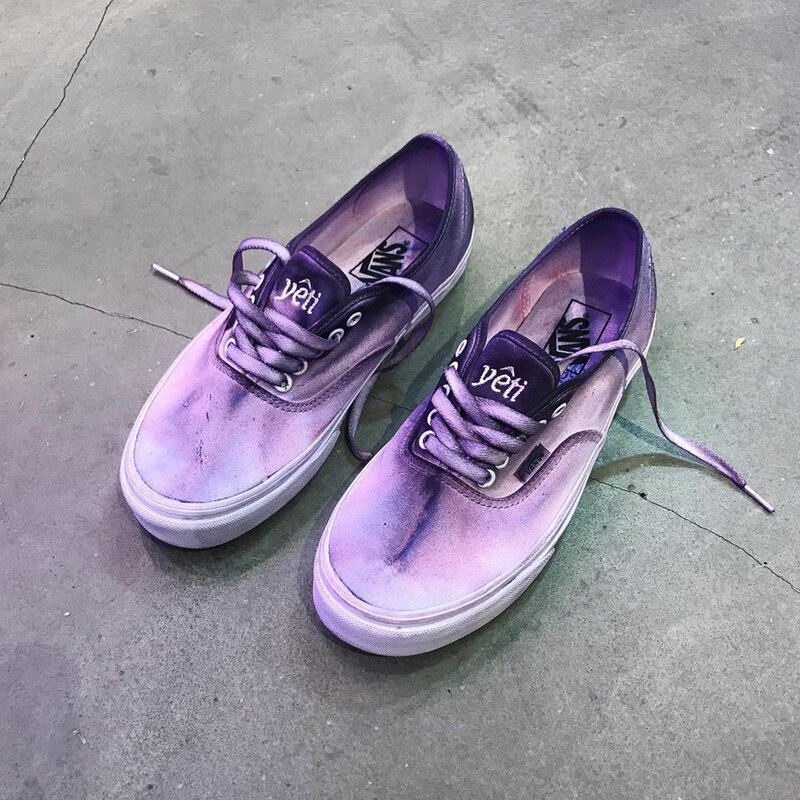 Yeti Out, a Hong Kong based music collective turned streetwear imprint, is set to make their first collaborative footwear debut with Vans, offering up an Authentic silhouette in quite a vandalized state. Celebrating their DIY roots and misanthropic attitudes, the team have taken what appears to be a contemporary white model and spray painted it for a kit haphazard in execution yet entirely adherent to desired aesthetics. 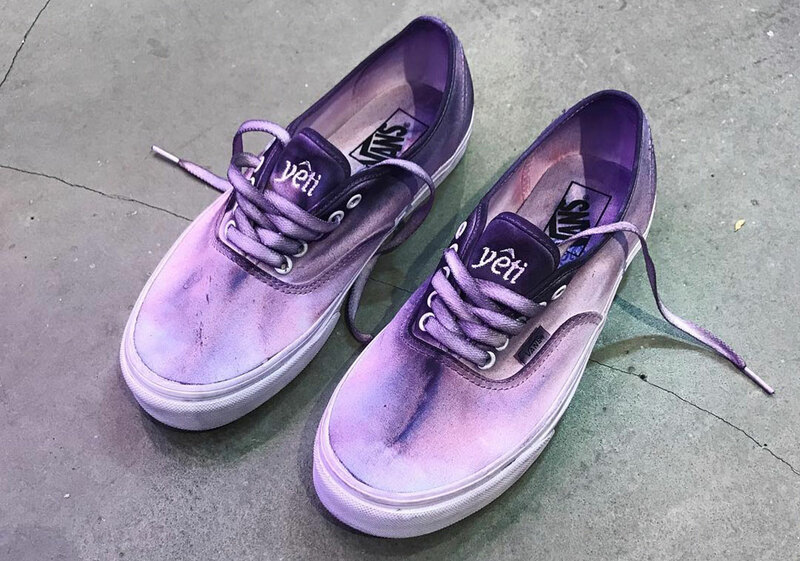 Tongues and heel counters get the full brute force of the aerosol can, arriving in almost full purple saturation aside from the bright “yeti” embroidery adorned across the former piece. Toe boxes, laces, and parts of the insole receive collateral damage as strokes, splotches, and an overlying tint spice up their once pristine appearance. Enjoy a teased look at the forthcoming pair below, and expect more information to surface in the coming months.